You can enrich young lives today! Volunteers in our Early Literacy Outreach Program bring stories, music, and educational fun to enrich the experiences of children and home daycare providers. 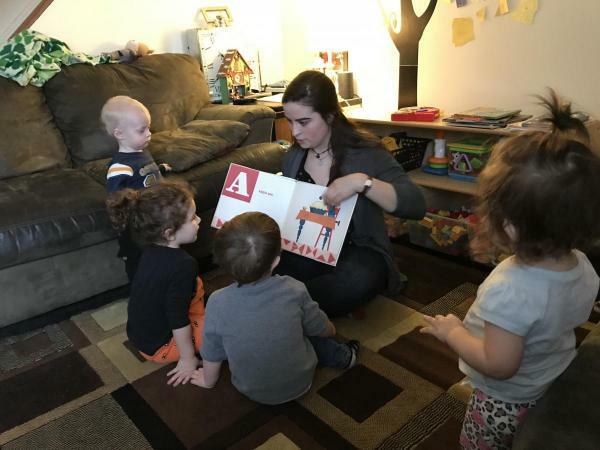 This program uses simple early literacy lesson plans to support kindergarten readiness for children ages 0-5 years in Burlington’s home childcares. Our first corps of volunteers are ready to begin visiting 10 home childcares in Burlington! Stay tuned for updates as the program enters this new phase! Volunteers will not only help children to develop foundational skills, but will form lasting relationships with providers, children, and families! ELOP is grateful to the Northfield Savings Bank, the Vermont Federal Credit Union, and the Friends of the Fletcher Free Library for their support of this program!